It is 1959 in Jerusalem. Shmuel, a university student with a large heart, weak lungs and an unruly beard, decides to give up his studies when his father’s business collapses. Shmuel couldn’t do military service. He has also just lost his girlfriend to her ex, whom she plans to marry. On top of that, his thesis about Jewish views of Jesus, had come to standstill even before his parents’ funds came to an abrupt halt. Shmuel has come to some kind of hiatus, a threshold in which he has to decide upon a new path. He thinks of heading off to a newly built town and becoming a night watchman when an advert seeking a companion catches his eye. It is in the house of the so-called Arab-lover and traitor, Jehoiachin Abravanel, long since dead, that Shmuel rediscovers a love of his studies, a love that sits Jehoiachin Abravanel and Judas next to each other forcing a revision of what it means to be a traitor at all (there are echoes of the Greek scapegoat and outcast, the visionary whose views may be right but feel threatening). Who is the old man, Gershom Wald, he has to talk to everyday? And what is his relationship to the beautiful woman of the house, Atalia? 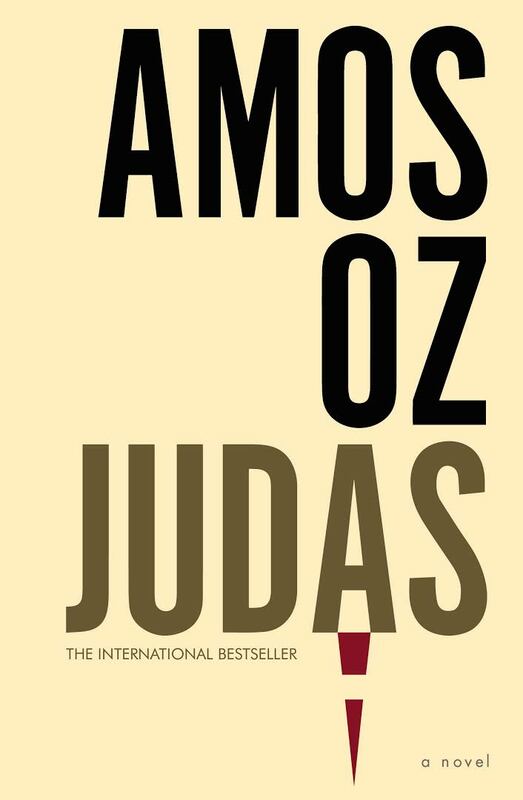 I’m a huge fan of Amos Oz. He often explores emotion and how difficult it is to situate feelings within moral and reasoned landscapes, and he definitely does this in Judas. The history of the Jewish state, what it means to try to live with others rather than in opposition to them (Shmuel is a socialist), all return to an exploration of the beginnings of Christianity and the traitor, Judas – who did he really betray? This won’t be a book everyone will enjoy. The characters are prone to long monologues in which they propound theories or set out historical events. And yet, the way history and religion blur so beautifully into one young man’s desire, hope, and honest self-reflection, make for very compelling reading if you are that way inclined. Probably if I knew more about the history of Israel, and Oz does seem to be making a political argument calling for a new Jewish outlook on the Israel/Palestine conflict, I would be even more gripped. These questions about how we choose to live with others, whether we should even encourage a sense of nationhood, especially a religious nation state, are deeply relevant questions and Shmuel’s rather naive, well-intentioned and short lived obsessions highlight the problems of facing these questions when young and easily distractible. Emotions, like arguments, aren’t always effective, don’t always have a resolution, but they can be acknowledged and respected. Shmuel, with his headstrong rushing gait, his good and moral intentions, his ponderous nature and his relatively isolated social life, feels like an embodiment of early Israel. But again, this is something someone less ignorant would be better able to express. In the end it seems that allowing oneself to connect to others is the most important thing and Shmuel slowly comes to realise this need for connection as he lives with Gershom and Atalia. I do feel somewhat unqualified to comment on Judas, but this is the beauty of fiction. In literature all those complex issues that we are forced to live through everyday, whether we choose to address them or not, can be explained and explored in the way that we live them. Different people will understand far more than me but I can still engage with Schmuel and think about the situation he is in. 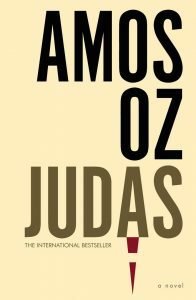 Judas is an important, if sometimes difficult book, whose strange characters cry out for healing affection. Next week I’m reading Herland by Charlotte Perkins Gilman.